Hello and welcome to my very first post on my Lake District Gems blog. Thank you for visiting me! Why am I setting up a blog about the Lakes? There are several reasons really. I love writing and I love the Lake District, and to be honest, I spend far too many hours sat behind my desk and not enough time exploring. This blog is about putting that right. It’s also an opportunity to share all that’s good about the area with you, hopefully through authentic experience as much as possible, and reliably sourced information the rest of the time. What about me? My name’s Janine and I live in Windermere in the South Lakes. I was brought up in the tourist industry, so throughout my life I’ve been chatting to guests, and learning what makes the Lakes such a special place for them. By trade I am a copywriter and communications consultant, and am gradually beginning to specialise in digital marketing. That’s another reason I wanted to start the blog – to put all the wonderful knowledge I’ve gained through a Chartered Institute of Marketing qualification to practical use on a real live blog project of my own. This year I’ll be spending my leisure time on my door step (or not far from it), and hopefully the weather will be kind to me too. I have to confess one thing though, which is that I am NOT a serious walker. That means that this blog won’t cover fell walks and views from the mountain tops, and to be honest I wouldn’t want it to – there are many other great blogs and reliable sources of information already out there to fulfil this need. This blog is about identifying the small pleasures to be enjoyed in every corner of Cumbria, if only you know where to look. It’s about enjoying easily accessed but equally stunning views on a day trip or weekend away, without having to endure that terrible Monday morning return to the office full of aches and pains (personally I don’t think our bodies are designed to sit in an office all week and then walk the fells without some preparatory build up of fitness). It’s about enjoying the food, culture, experiences, events and strolls, or whatever you personally enjoy the most in life. 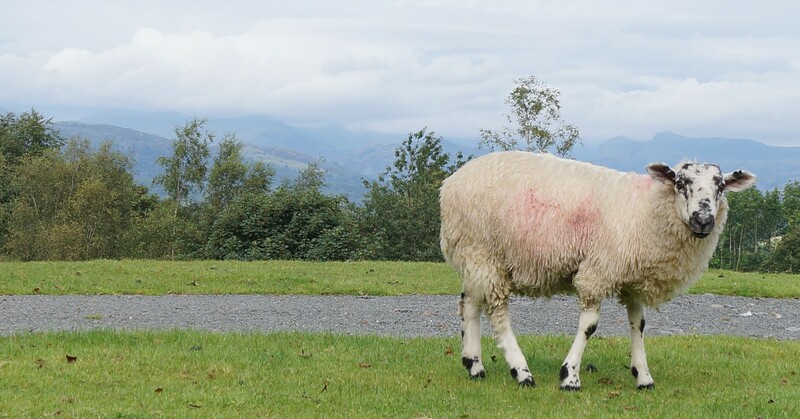 If you love the Lake District like me, I hope that whatever your interests you’ll find something on the blog for you, and perhaps even some amusement along the way. And if I miss out a little corner of Lakeland that qualifies as your hidden gem, please let others enjoy what you’ve discovered by leaving a comment among the posts. I can’t wait to get started and hope you’ll join me again soon. I hope you’re enjoying the blog so far. Please do join in the conversation by leaving comments for other visitors to the blog, and help them get the very best out of their own visits within the Lake District.